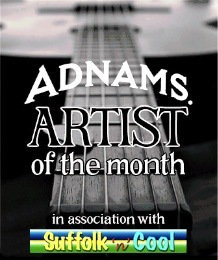 Each month a member of the team at Adnams selected a favourite artist from the Suffolk and Cool playlist from the preceding month to be the Adnams Artist of the Month. The choice is made entirely by the reviewer and may well reflect their personal taste in music. Actually, there really isn’t any other kind of taste in music. It’s just personal. So here you’ll find the choices of some real people from Adnams in Southwold. This is a great part of our sponsorship arrangement with Adnams. It involves really nice people doing real jobs at the brewery and it is fascinating discovering their musical tastes. Click on any of the dates for feature pages. 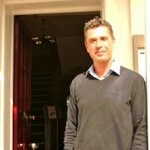 The Artist of the Month for June 2012 is selected for us by Kurt Hartle who is himself a composer and musician, a professional dressage horse trainer and a waiter at the Crown Hotel in Southwold. Raised in northern California, Kurt offers some very perceptive insights into the tracks from which he selected the final Adnams Artist of the Month. Alex only arrives on these shores a few years ago from her birth town in the mountains of Romania but she has settled into doing a great job for the Adnams Cellar and Kitchen stores. Rachael has one of those roles which seems a bit obscure but which in fact makes a real contribution to the Adnams environmental credentials. Ruth grew up “over the water” in Walberswick and is musician herself with a deep love of folk music and even morris dancing. Kevin is a musician at heart. 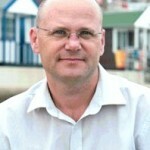 However, his passions for wildlife conservation and gardening come together in his work at The Swan Hotel, Southwold. Tyler’s twin enthusiasms for food and music make him a great guest reviewer. It really makes me determined to try his food at The Crown. Duncan is a musician himself and took great delight in checking out the AOTM tracks. Pop in a say hello at the store. 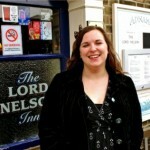 Victoria takes care of persuading the rest of us to enjoy Adnams beers and spirits in pubs, bars and restaurants. Tough job! Lee has recently re-opened one of the oldest pubs in Suffolk where his culinary skills and sheer hard work are turning around the fortunes of this lovely old pub. 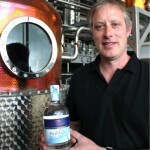 John worked closely with Jonathan Adnams to set up the beautiful new distillery within the brewery building. The facility opened only last autumn yet already the products are in great demands. 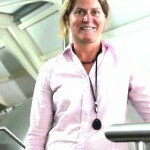 Belinda Jennings who takes care of the quality of Adnams products. 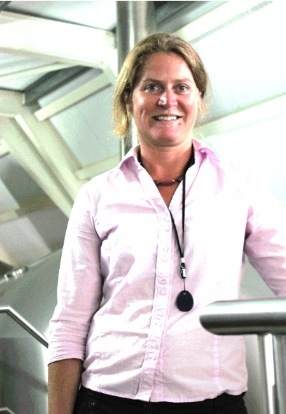 From a science background she has worked in brewing for some years and is, herself, a brewer. 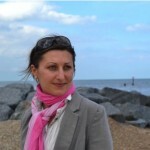 Belinda’s musical tastes are varied and she is an enthusiastic attender of Latitude Festival at nearby Henham Park. Jonathan took over the role of Chairman in August 2006. An accomplished bluegrass banjo player, Jonathan found the tracks from the March Suffolk ‘n’ Cool show interesting (in a good way). 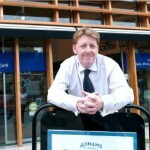 Yorkshireman Martin Wilkinson has been with Adnams for less than a year. 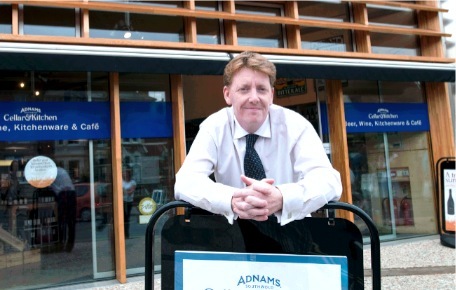 His experience in retail is proving invaluable as the Cellar & Kitchen retail stores spread out from the epicentre of all things Adnams – Southwold. 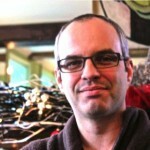 Peter’s role is in predicting and advising on business strategy from a financial perspective. 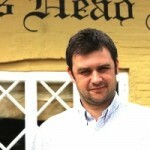 He has a close interest in Adnams’ relatively new venture into retail shops and into hotels around East Anglia. 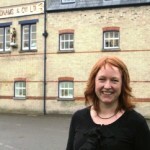 Emma takes the lead on Adnams community and environmental activities as well as dealing with PR for the company. If it is anything to do with the internet at Adnams, Sean is responsible. Part of Sean’s mission is to extend the Adnams “experience” to a rapidly growing group of people around the world who subscribe to the newsletter and connect with individual members of the team that makes the beers, wines, hotel and community activities available. Rob’s careful analysis and tasting notes on the tracks he has heard parallel his tuned senses and attention to detail in his quest to bring the most interesting of the world’s fine wines to the Adnams range. The parallels between Rob’s mission and that of Suffolk ‘n’ Cool become more and more apparent. Sarah has diverse tastes in music, enjoying Tchaikovsky and The Foo Fighters – although possibly not both at the same time. 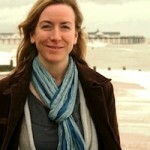 She is also a keen photographer and takes many of the pictures for the Adnams blogs. At Adnams Sarah works with Sean on the web team and with Alastair on selecting wines for the Adnams range. Who would have thought that a study of geography could lead to this! Francis has a real enthusiasm for his work in managing the portfolio of Adnams hotels which has grown rapidly in recent months with two quite different North Norfolk hotels coming into the Adnams fold. He admits to an eclectic taste in music which has evolved over time and continues to do so! Check out the Stay with us section at the Adnams site for more information on each of the Adnams hotels mentioned. You can even download a copy of the new Adnams hotels brochure. Alastair has one of the most enviable jobs – travelling the world tasting fine wines and meeting fascinating, passionate people in beautiful places. An avid festival goer, Alastair makes room for Womad and Latitude every year to satisfy his eclectic tastes in music. 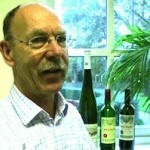 Tap into his expert knowledge of wines at the Adnams website. 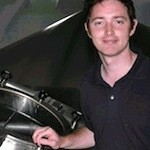 The man with responsibility for brewing the Adnams range is 34 year old dad-of-one Fergus Fitzgerald. 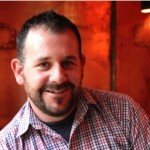 Fergus trained at the Murphy brewery in Cork and at Fullers in London, before moving to Adnams as assistant brewer 2004. 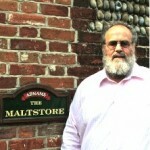 Now a fully qualified Master Brewer, he took over as Head Brewer in 2009.